Azeroth Mommy: Weekends go by way to fast. Is it Monday already? The weekends always seem to fly by and the week drags on.It's so nice when my husband is home for the weekends and I can do laundry, or shower and clean up a little bit more than usual, or get caught up on my e-mails. Especially lately, I've been trying to get my Scentsy business up and flying! If anyone is interested in it, shoot me a message. Don't know what Scentsy is? 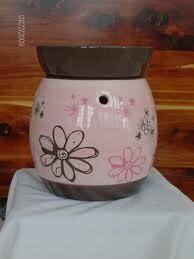 Scentsy is a wickless alternative to scented Candles. No flame, wick, or soot...and over 80 awesome scents. The warmers use a 25 watt light bulb to slowly melt the wax and it doesn't ever get hotter than body temperature. It's safe around kids and animals! Which is great because I know when our LO starts crawling she is going to be getting into everything. I have the Doodlebud warmer, it's adorable!In the picture I have Sugar Cookie bar in there, it always makes my husband hungry for cookies lol. Also my husband wants to be a writer. He's been writing since before him and I even met. For about the last 3 years I've been pushing him to write more and more. He's amazing at it. Sometimes I feel that he doesn't have self confidence though, no matter how much I tell him I enjoy reading his work. He's been working on a story for my daughter and I recently, and it's turning out awesome. I was thinking of maybe weekly uploading what he writes and getting everyone's opinions about it. I know that if I push him to finish this book, he won't be disappointed and he can go far. Maybe for Father's Day I was thinking of getting what he has done so far bound and printed to show him what it could look like! I think he'd love that.Let me know if anyone would be interested in giving me feedback, brutal and honest needed! On a side note, the last two days our LO has been super fussy :( Last night she screamed for an hour and nothing would calm her down. I finally had to put her in her crib and walk away, I felt horrible. She eventually settled and slept until 4:30am. Was up at 6am this morning and just recently went down for a nap after being very irritable. Recently she's been rubbing her eyes when she's really tired... too bad she fights sleep.